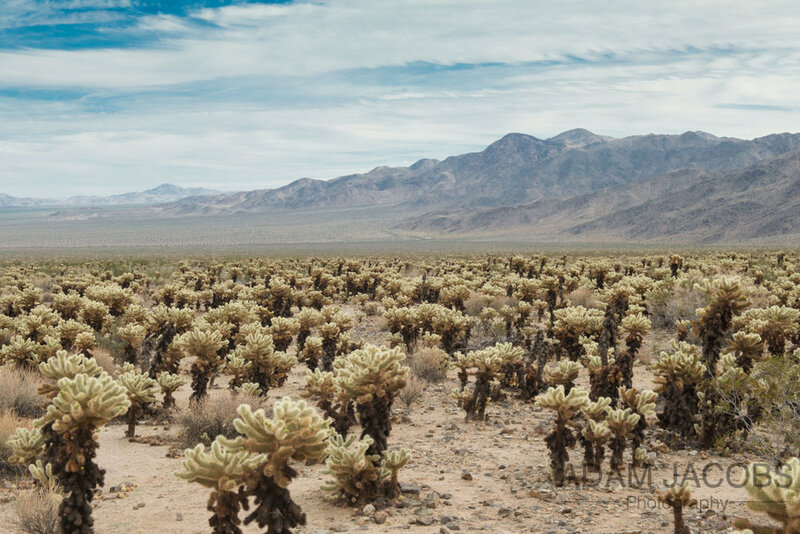 Joshua Tree National Park is so different to any other National Park I’ve visited in the States. 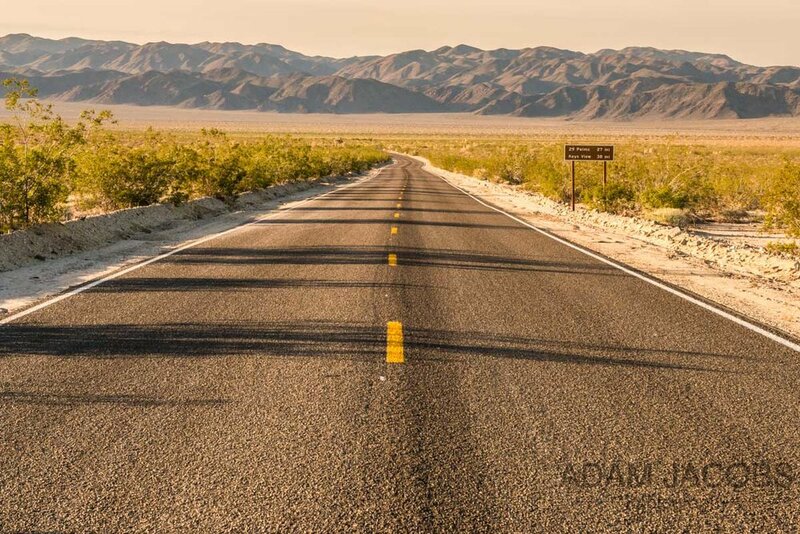 For much of the time, It’s vast, arid and other-worldly landscape makes you feel as if you are in Mars. 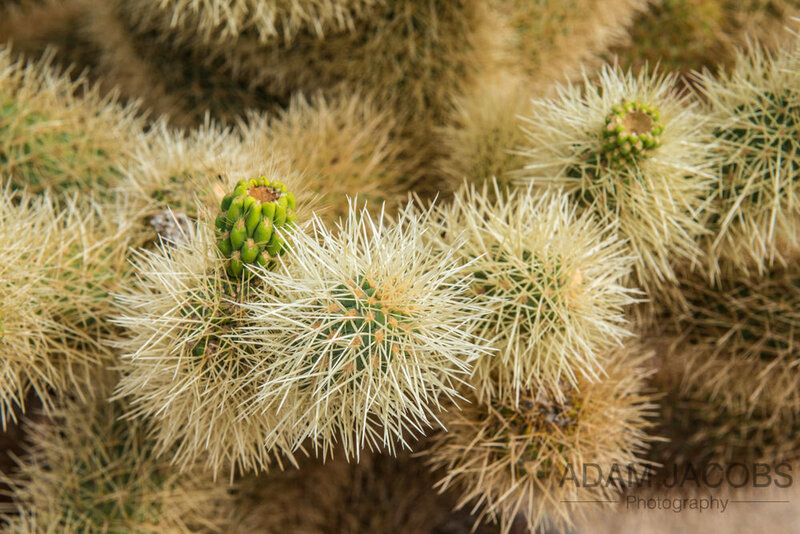 However, the park is incredibly interesting and has plenty to explore and photograph with its diversity offering ample opportunities for landscape photographers: there are areas where cool cactus formations are clustered together and other regions where enormous and interesting rocks formations have been formed from seismic activity and sculpted by hundreds of years of erosion structures. In fact, I could even imagine it making a great backdrop for a fashion shoot! And then, of course, there are the Joshua Trees. These trees, twisted and contorted in their appearance, have a Medusa-esque look and despite apparently falling in number still stretch in many parts of the park further than the eye can see. Barker Dam in Joshua Tree was the only place I found water in the Park. I was told by some locals that it was extremely rare for it to be this full so I stuck around and was rewarded with an amazing sunset! See the photos and video below. 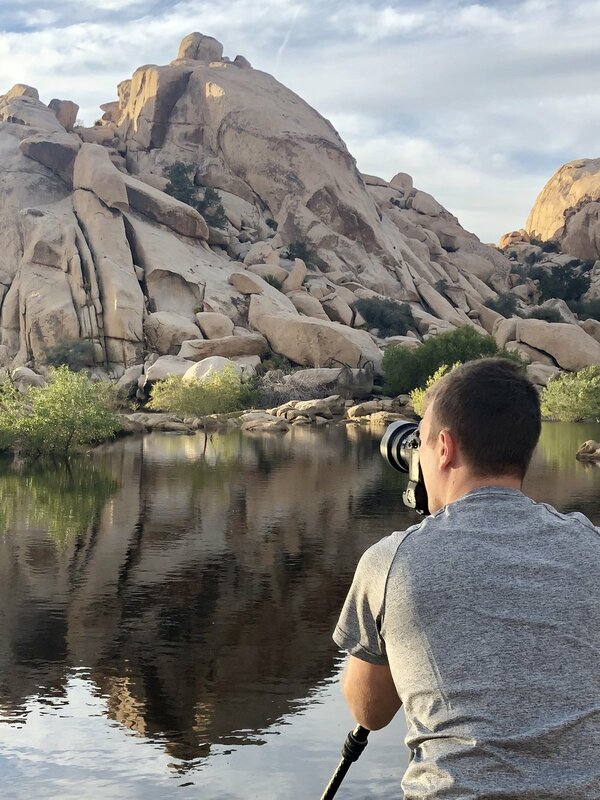 Behind the scenes with my trusty Gitzo Mountaineer tripod photographing Barker Dam. 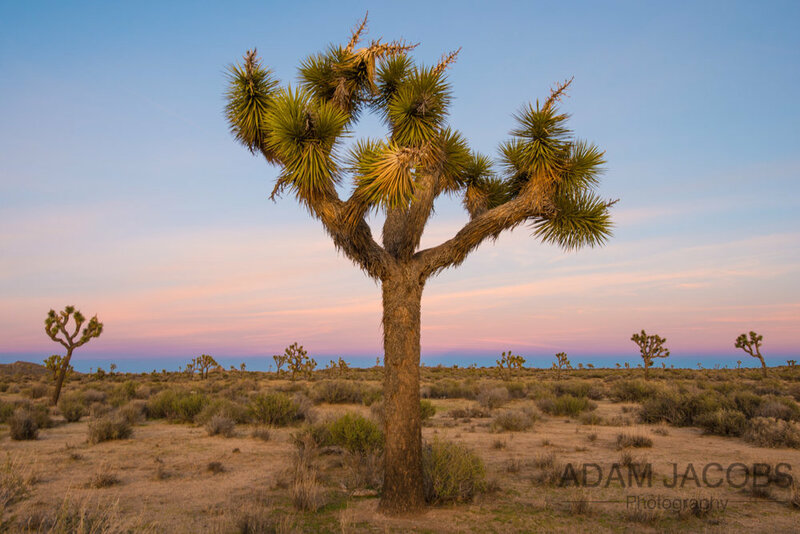 One of my shots from the amazing sunset at Barker Dam in Joshua Tree National Park! And another sunset at Barker Dam. Skull Rock at Midnight. 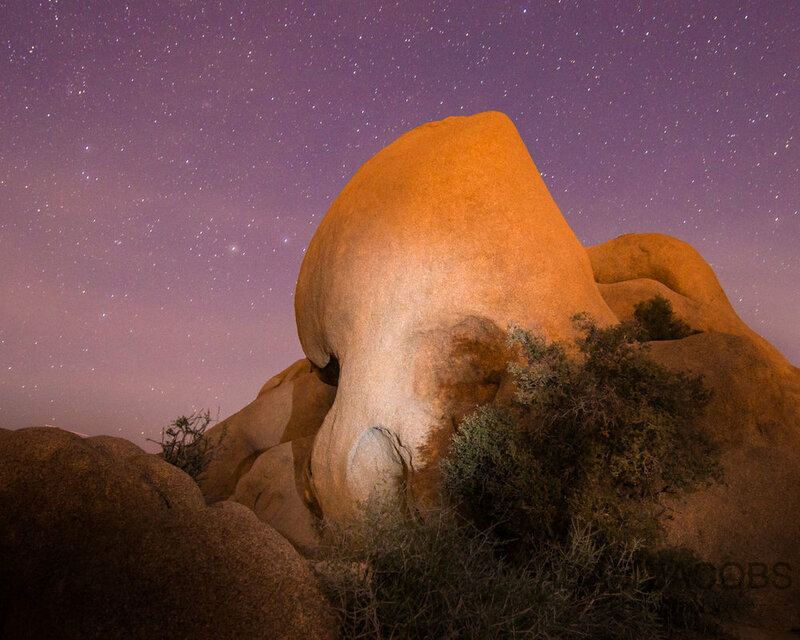 This creepy rock formation that sits right in the center of Joshua Tree and clearly resembles a skull I shot at midnight on Halloween! Thought it was appropriate. Arch Rock - Joshua Tree National Park which reminded me of a mini version of the arch in Canyonlands in Utah. Couldn’t help but pull over at the side of the road and capture a field ofJoshua Trees at dusk as I was driving out of the park.